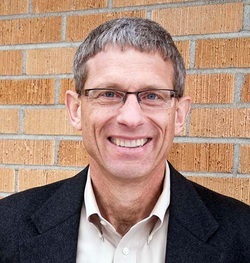 Mark Kiekhaefer has been Senior Pastor at Grace EFC since 1998. A native of Oregon, he graduated from Stanford University (Biology) in 1979. His training for and experience in ministry includes: work with college students, study at Trinity Evangelical Divinity School (M.Div. ), an internship at an inner city ministry in Chicago, and an associate pastoral role in Madison, WI. Currently, he is working towards a Doctor of Ministry in Spiritual Formation from Gordon-Conwell Seminary. Mark and his wife Nina have been married since 1985 and have three teen-age children. His hobbies include his children’s activities, gardening, and running a marathon each year. 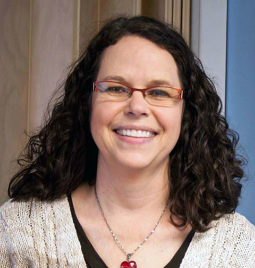 Cathy Frank joined the staff of GEFC in May of 2007 as Church Administrator. In 2010 the duties of this position were expanded to include Children’s Ministry Coordinator. Cathy and her husband Greg have three children; Elizabeth, Rachel and Harrison. She enjoys cooking, gardening, playing golf, and watching the birds at the birdfeeder.